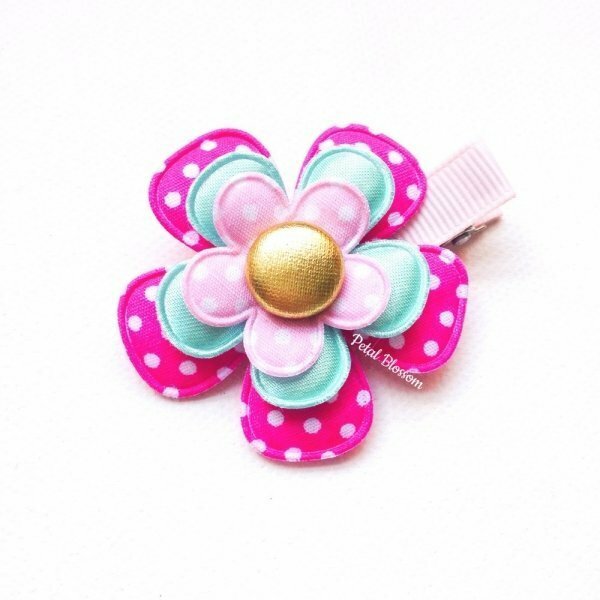 A striking pink triple layered large girls flower hair clip, made from hot pink polka dot aqua blue polka dot, pale pink polka dot fabric flowers with a metallic gold button centre. A gorgeous hair accessory for your little girl. Great birthday gift or Christmas stocking filler. Attached to a ribbon lined alligator clip with a non slip grip attached.